Just a quick one today – still working on new background options for twitter. 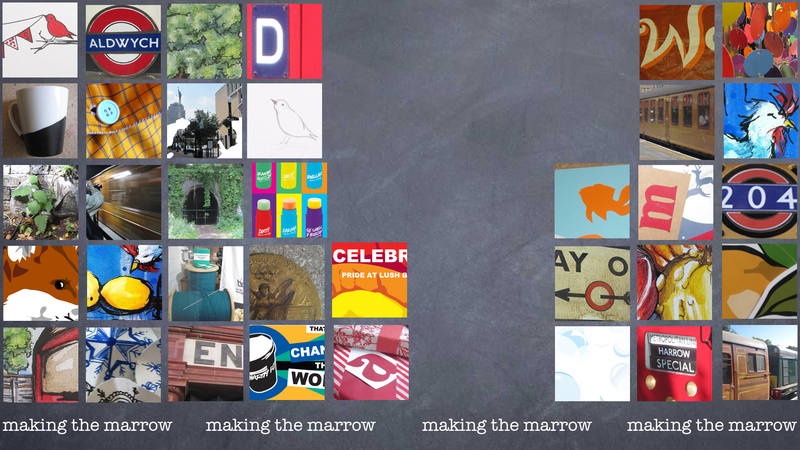 The tough bit is finding the correct dimensions for the twitter background. 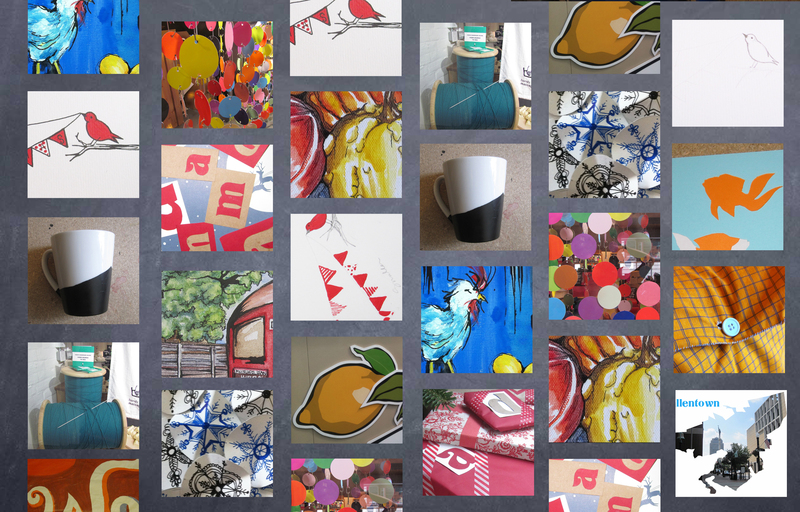 Every website you look at has different dimensions suggested, so I’m hoping that having a nice tiled photo collage will work out. Below are some options so far. 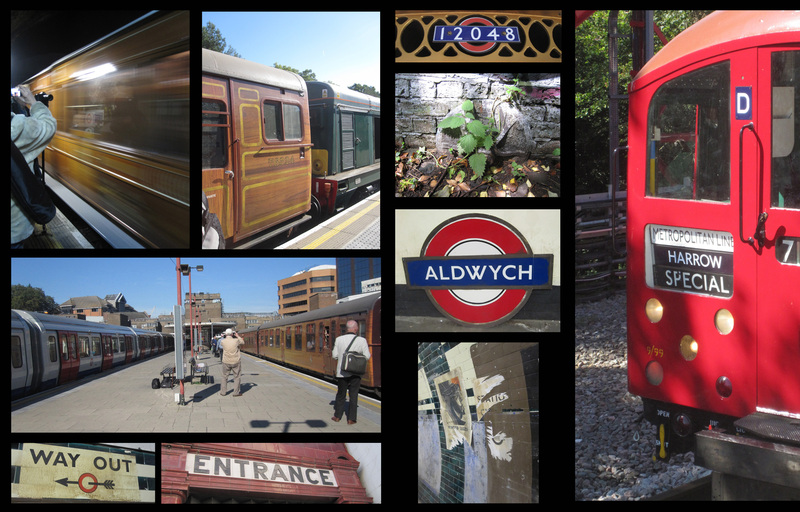 Tube themed – a nice little assortment of pics from Vintage tube days out – Amersham Day, From Park to Palace, and two adventures which need adding to the blog: a day at Aldwych, and the 150 year steam train. 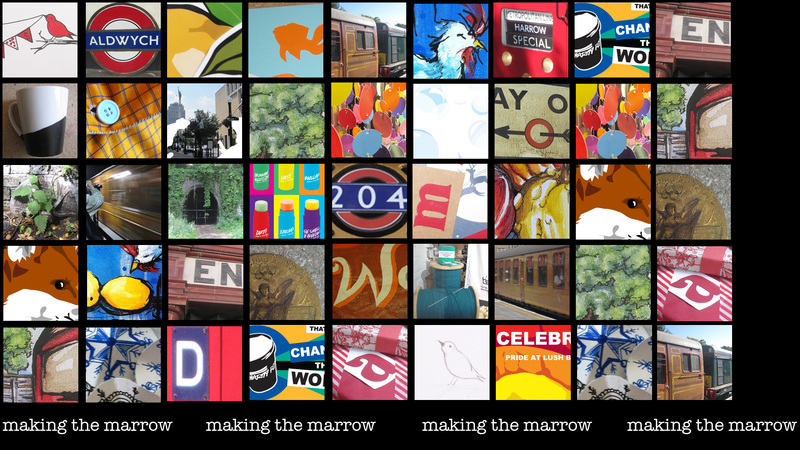 Artwork themed- an assortment of photos of different art projects. 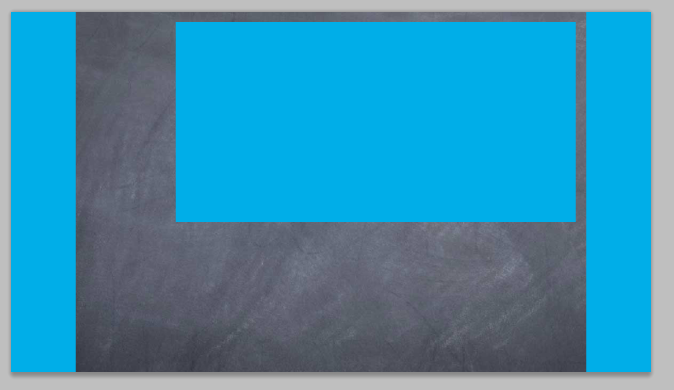 This is the format suggested – the blue represents the 2 x 194 pixel panels on either side where you will have a clear view, and then the profile banner which will block out the middle. 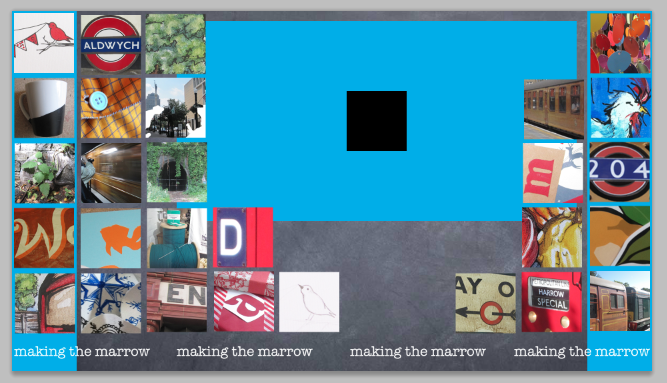 Working around this, format, I made squares representing the content of Making the Marrow. I am pleased with the way it’s finally come out, although suggestions on how to keep the “thumbnails” smaller so I could get more in would be ace. Also, if you aren’t following the Mario Balotelli parady account, boy are you missing out. This entry was posted in Artwork and tagged Design, Graphic Design, Photoshop. Bookmark the permalink.